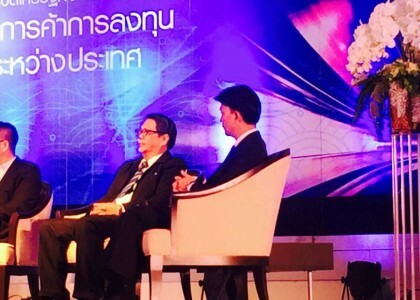 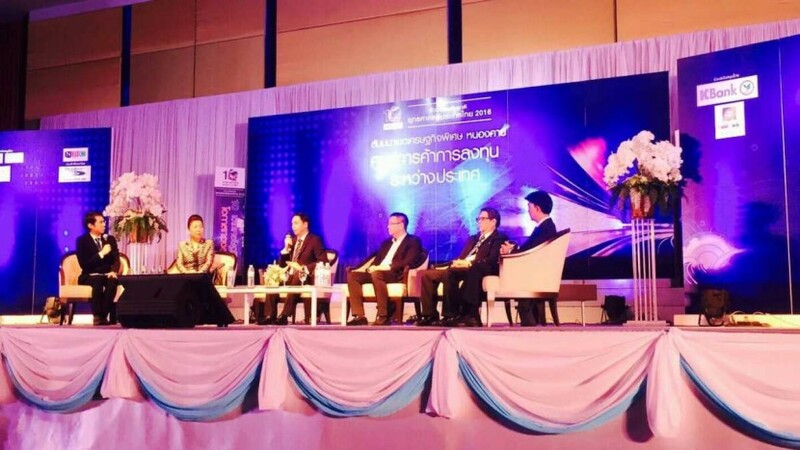 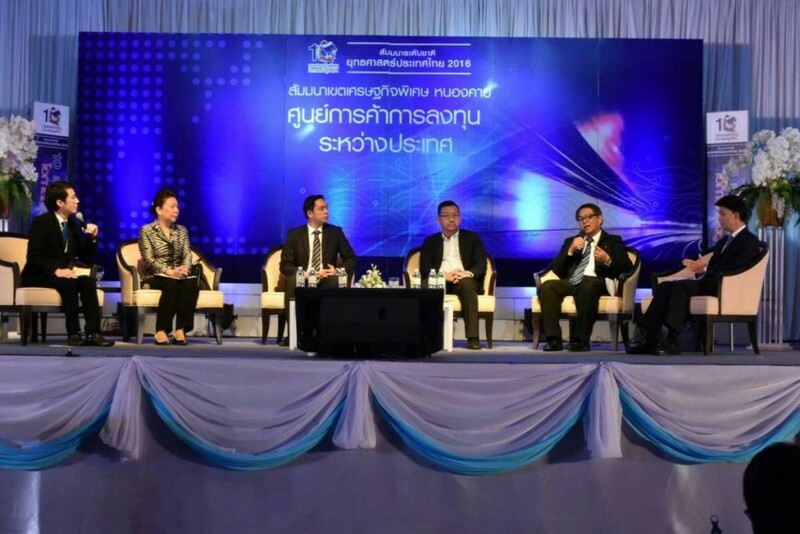 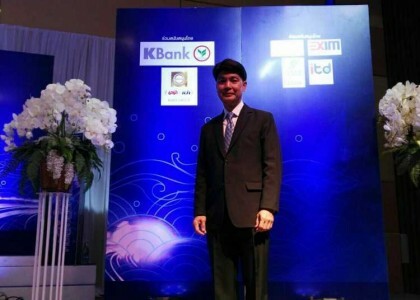 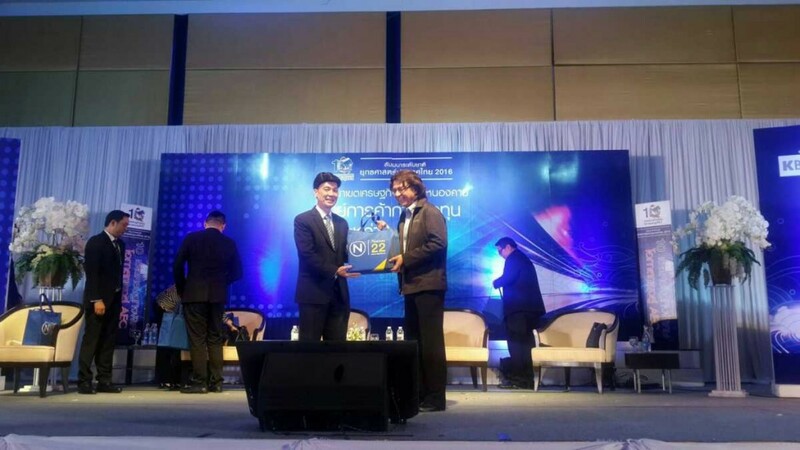 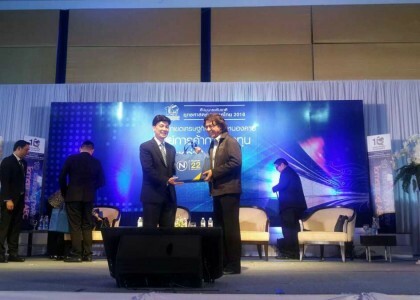 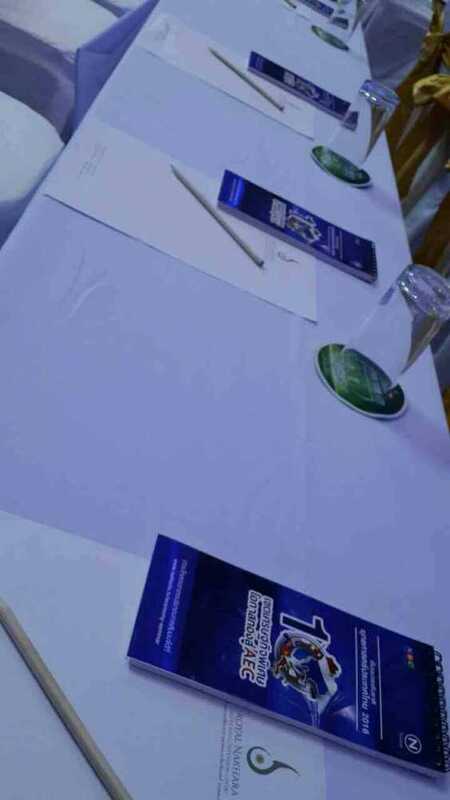 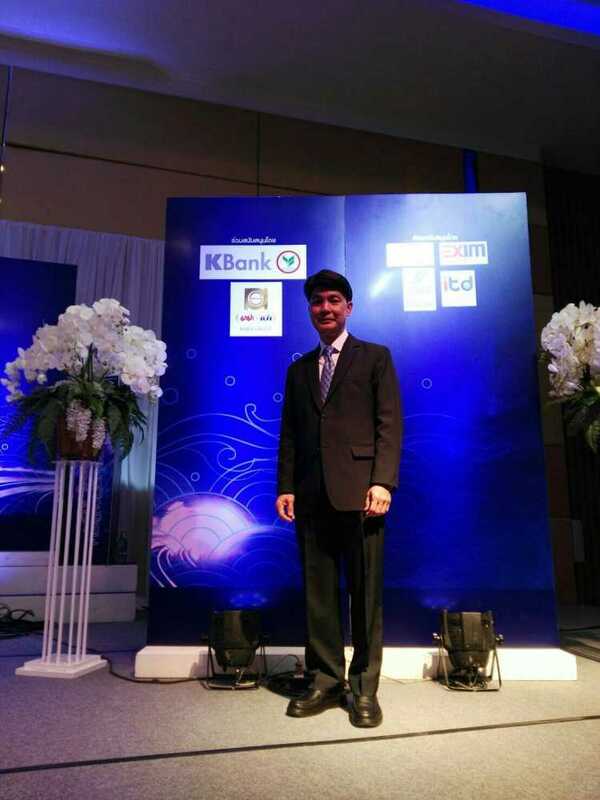 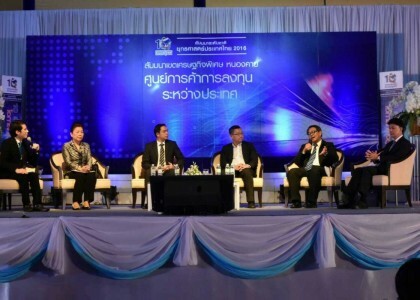 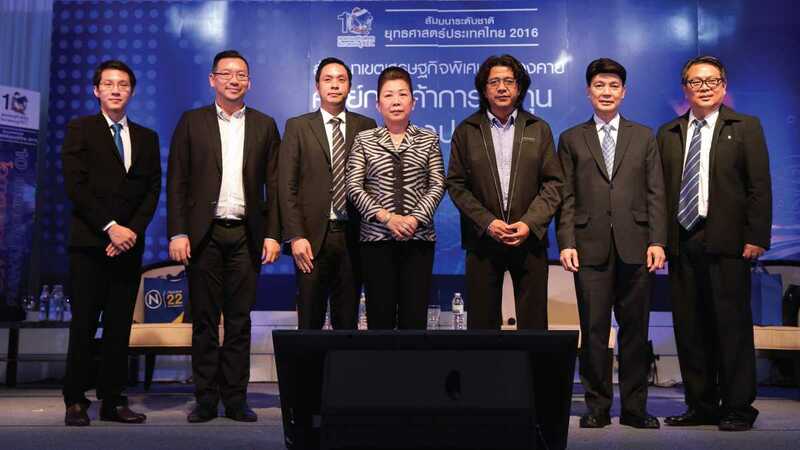 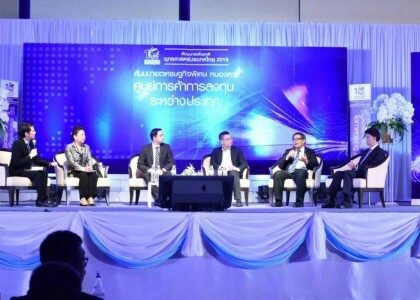 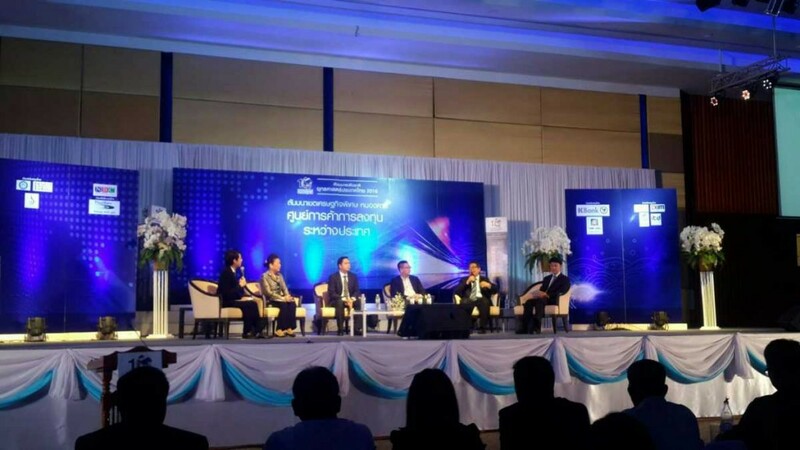 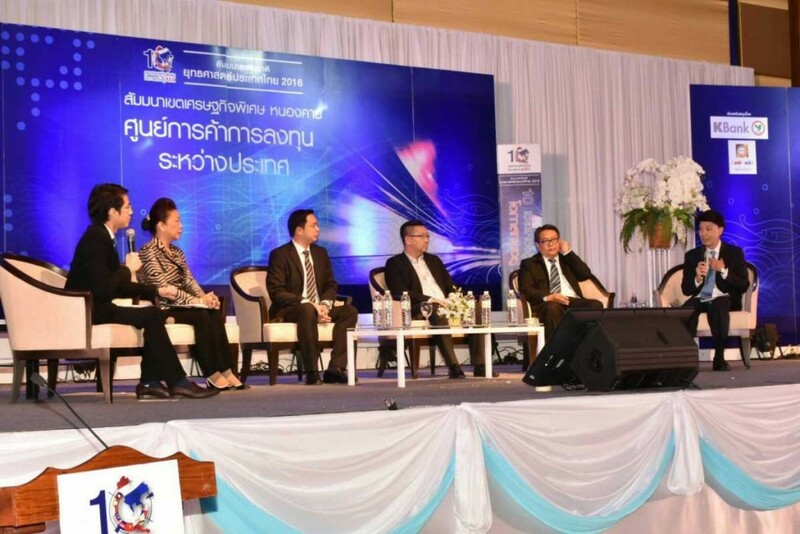 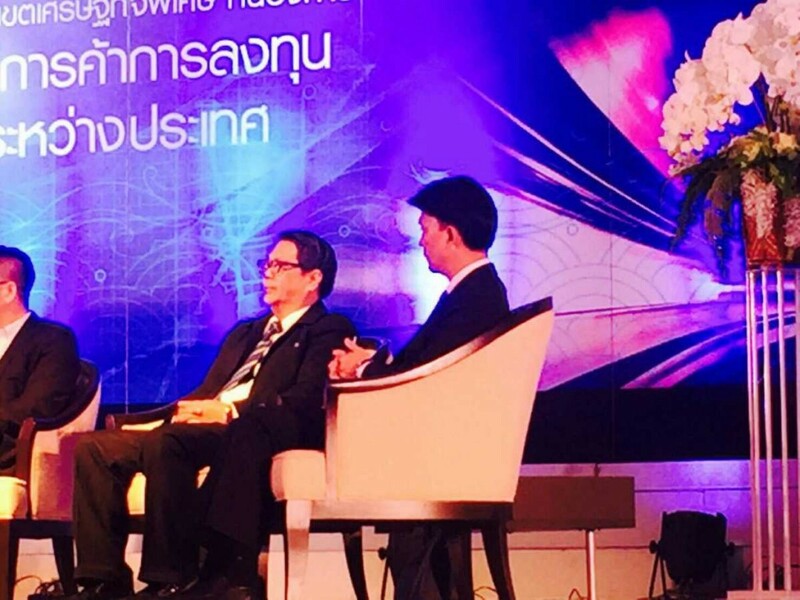 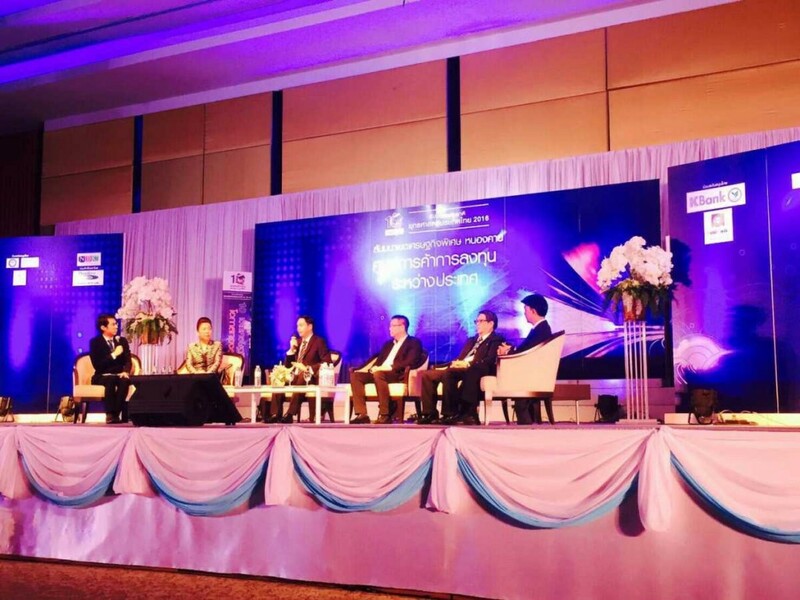 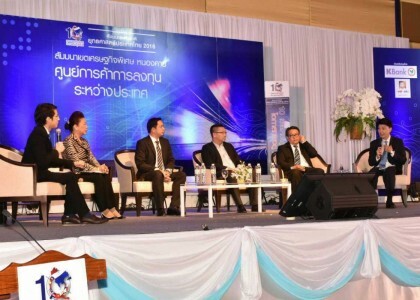 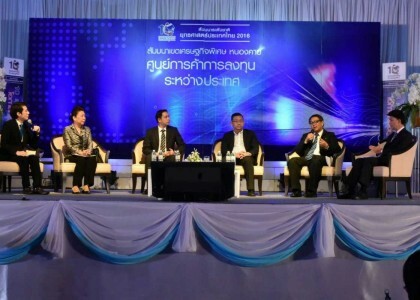 ITD by Office of Knowledge Management joined hand with Nation Broadcasting Corporation PLC and relevant public and private agencies to organize seminar on “10 Special Economic Zones: Expanding Thai Opportunities to ASEAN” on July 15, 2016 in Chiangrai Province and on July 29, 2016 in Nongkhai Province respectively with the main purpose to create the local more understanding on Special Economic Zone (SEZ) and see their opportunities and challenges in expanding businesses to ASEAN. 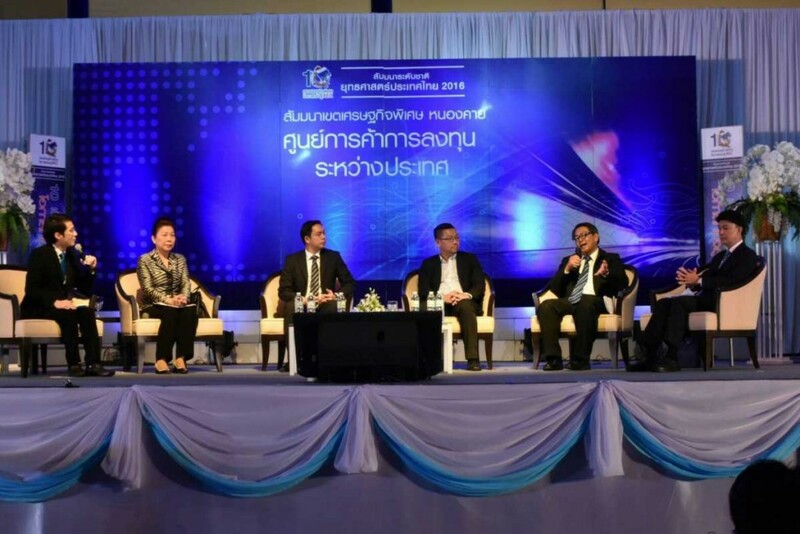 ITD’s Executive Director, Dr. Kamalinne Pinitpuvadol shared his view on ‘Nongkhai SEZ: Centre for International Trade and Investment’ together with representatives from SMEs Development Bank, Kasikorn Bank and Tesco Lotus. 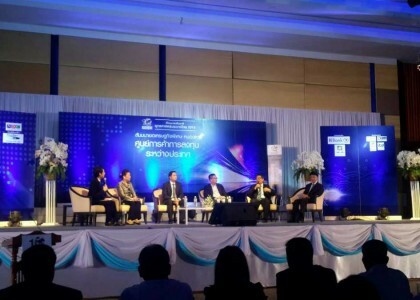 Dr. Kamalinne encouraged participants taking advantage of SEZ to expand trade and investment to ASEAN, particulary to neighbouring countries i.e. 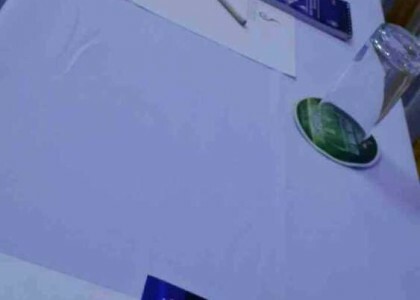 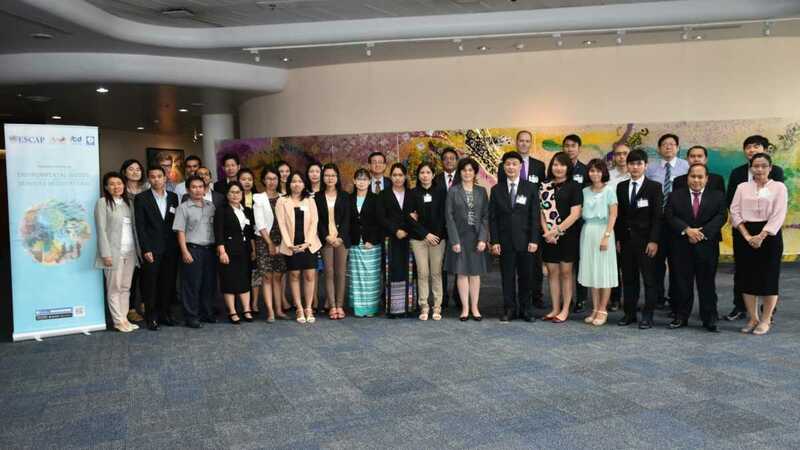 Lao PDR. 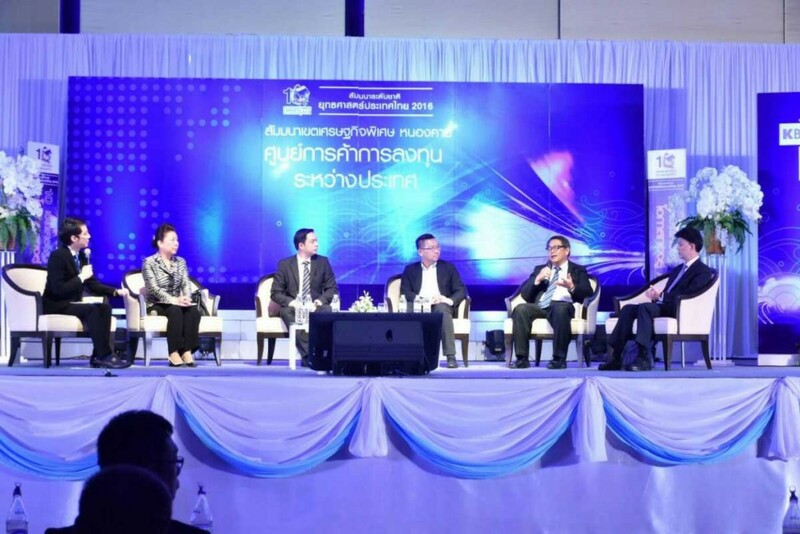 In these two seminars, ITD provided research on ‘Guidelines and measures for the development of special economic zones in the border area of Thailand’ to 200 participants who were from government and private sectors of Chiangrai, Nongkhai and nearby provinces.